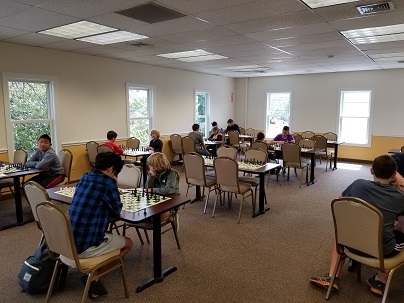 This week's Saturday Quads hosted 22 eager players. 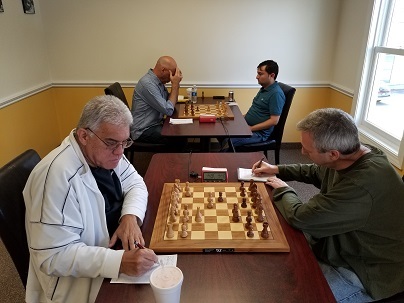 In quad one, FM Leif Pressman played a perfect tournament, winning all three of his games and clinching first. Andrew Dexter won the second quad with 2.5/3 points. Ethan Cushman also played remarkably well. He won all of his games and placed first in the third section. The winner of section four was Sakura Laporte, with 2.5 points. 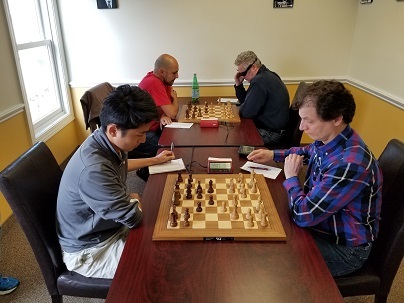 Finally, Miles Gillot won all his games and came first in the six-person swiss. Congratulations to all the winners and thank you to all the participants. We hope to see you all again soon!